CJ Matthew is the author of paranormal romance suspense series Dolphin Shore Shifters. Her debut novel, Blood Tide, features a pod of dolphins posing as humans that work through their oceanic conservation corporation Save Blue Water, based in Santa Barbara, California, to protect the oceans at any cost. CJ grew up in an Air Force family that travelled all over the U.S. and around the world. She spent her high school and university years living in California, which inspired her love of marine life and the Pacific Ocean. A member of Georgia Romance Writers (GRW) Romance Writers of America, CJ lives and writes near a lake in the woods northeast of Atlanta. 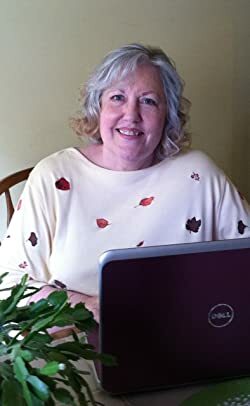 When she isn't writing or reading romances, CJ likes to travel and to spend time with her two grown children, a brilliant grandson and a feisty cat named Max. Please enter your email address and click the Follow button to follow CJ Matthew!